Dinner: Al Tramonto (Sunset Dinner)$20 special from 3:00 - 6:00 & regular menu starts at 5:00pm Daily. First time at this restaurant. We had a party of 8 to celebrate a college graduation. It was busy with holiday parties & yet the service was very good. Owner made a point to connect with the patrons. Nice holiday decorations. This will be a go to restaurant for me whenever I’m in town. Perfect evening. Food was delicious, portions were extremely generous. Thankfully we shared desert and still couldn’t finish it all. 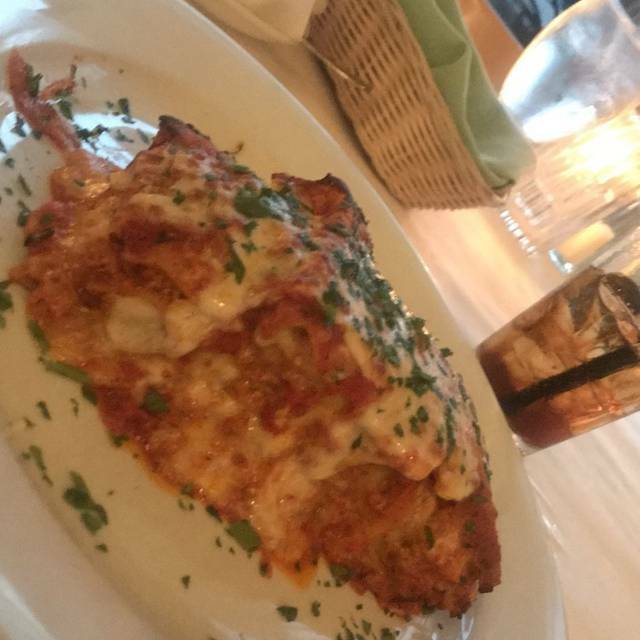 Favorite Bellingham Italian restaurant! Great place for romantic dinners or meeting girlfriends for lunch! The food was very good and tasty. Service was excellent and our waitress was very familiar with the menu. It's certainly not cheap but was very enjoyable. Been here at Giuseppe's at least five times in the past year and prefer to come south to Bellingham waterfront area rather than the overcrowded lower mainland BC where we live (temporarily until we return to east coast). Giuseppe's has a warm ambiance, welcoming hosts and friendly, attentive staff including The man himself. Excellent value and very well managed. very comfortable, and the views of the boat harbor an added delight. A wonderful dining experience! She is an obvious plus. The food and drinks was better than expected and we expected good. 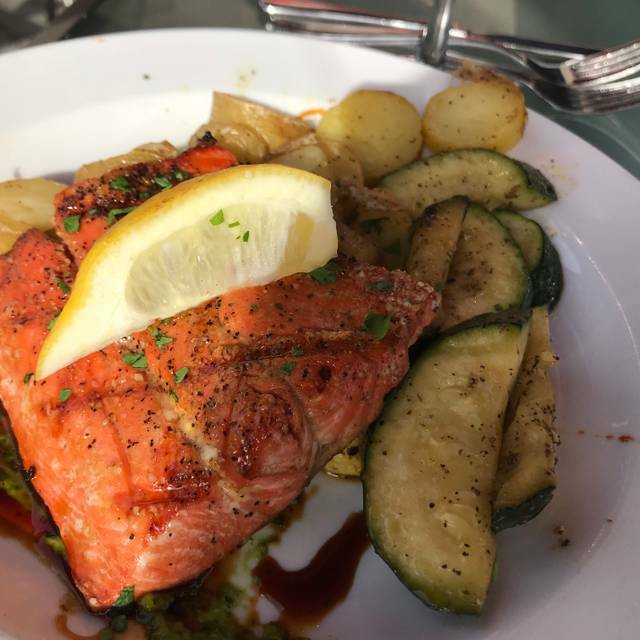 I was surprised to find that many of the dishes were higher priced than what we saw on-line, and was the determining factor over the other choices we had in the area. The pictures of the place made it seem like it was a bit more upscale than the others, and it was, and for the same price as the others, but that ended up not being accurate. The place was nice, the food was decent for what we thought the prices would be, but below average for what the prices actually were. 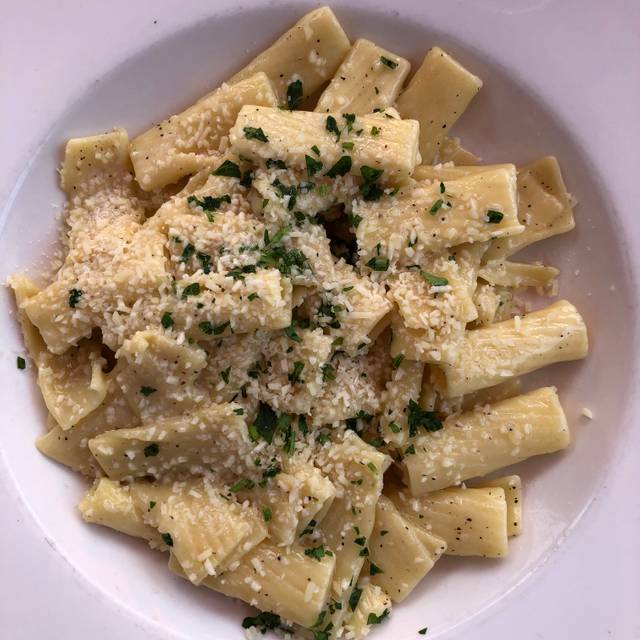 My son was really looking forward to the Rigatoni, especially after the waitress explained that it was a bit spicy, which is a big plus for him, but there was absolutely no spice whatsoever to the dish. 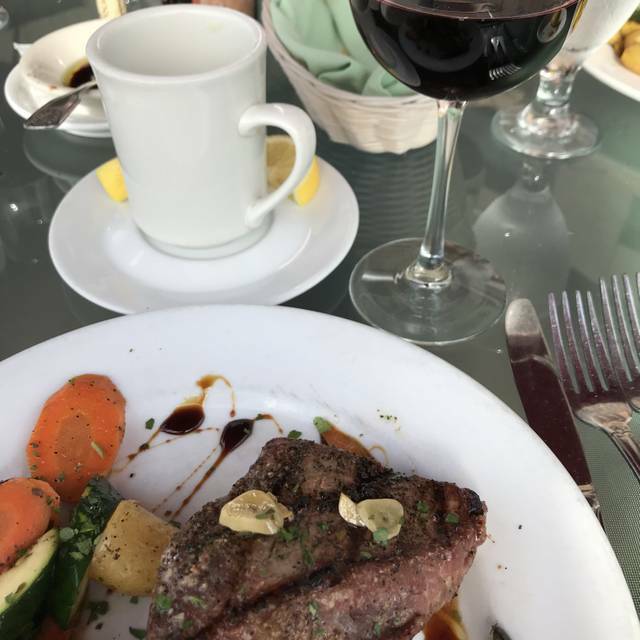 Ultimately because of the inaccuracy on pricing and what we expected of the food, we ended up feeling we could have received a better Italian meal from a chain restaurant for far less money. The food was amazing! My only complaint is that the service wasn’t great. The table next to us was “regulars” so they were getting a lot of attention and we were simply having food dropped off and dessert menus tossed on the table. A lovely restaurant. You are greeted by a very friendly hostess who leads you down a path of twinkling lights to a table overlooking the water. What could be better? The staff is excellent and the food....well, the food is mouth watering. The halibut topped with crab was sublime. They don't skimp on the crab either. Everything was just wonderful. Would highly recommend. While the food was delicious, we felt that we were rushed. Then when we were ready to leave we could not find our waiter to get the check. 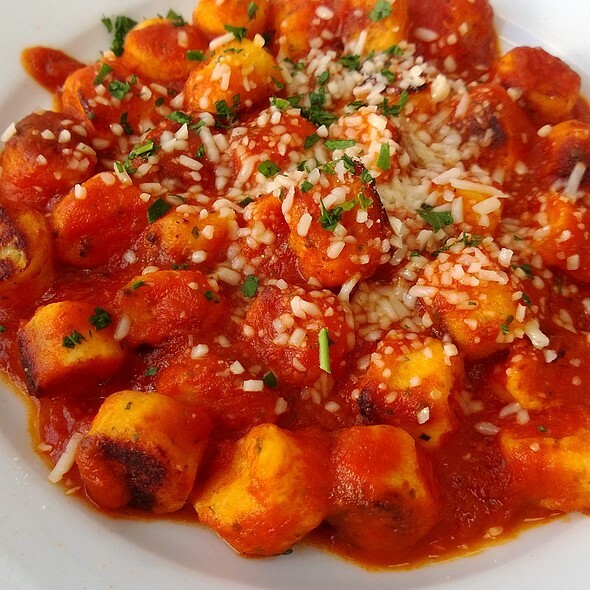 Giuseppe's consistently offers good service and good food. 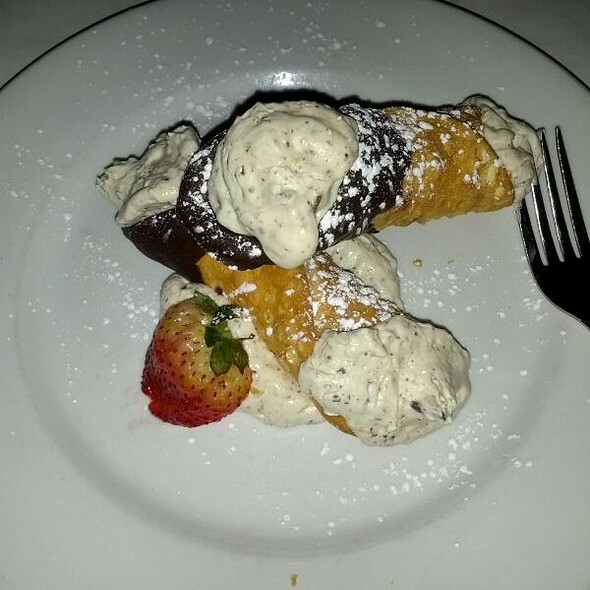 Everything from appetizers through desserts was top-notch at Giuseppe's Al Porto. We appreciated the interesting and varied menu, very good wine selection, great quality food, nice ambience, and excellent service. Our evening was very enjoyable!! It was definitely worth the drive (over 1 hour), and we will return. We had a party of 7 and had great service. The early bird dinner selection was fabulous, souo or salad, several entrees and 3 dessert choices. All delicious. Giuseppe came over and asked how things were. Very nice touch! Would go back in a heartbeat. First time here! It was great. Fun ambiance and food was very good. I recommend the chicken piccata and the Affogato for dessert. And to make a reservation! Everything was excellent! As a full-blooded Italian, I will say they are the real deal. Fresh food, garlic and full of flavors. My steak was overcooked, but our appetizer calamari was fantastic. The service was great as usual and love to see Giuseppe coming around the tables to check up things. Love this place. Chicken was burnt veggies looked and tasted like they were from a cafeteria (uninspired) and the mashed potatoes were lumpy. Bread and wine selection were great. Giuseppe's Wine is outstyanding !!!!!!!!!!!!!!!!!!!!!!!!!!!!!!!!!!!!!!!!!!!!!!!!!!!!!!!!!!!!!!!!!!!!!!!!!!!!!!!!!!!!!!!!!!!!!!!!!!!!!!!!!!!!!!!!!!!!!!!!!!!!!!!!!!!!!!!!!!!!! But food off the charts!!!!!! Best Italian in a long time!!! This was the first time we were seated in the large dining area. It has floor to ceiling large glass windows on two sides and a hard surface floor. There is nothing to absorb sound. The night we were dining, there was a large party of at least 16 people and a couple of smaller groups. Each was competing to be heard. We should have asked to be seated in one of the smaller dining areas. Good ambiance, good food, good service, nice view and excellent value. They were fantastic! Made me a custom noodle plate and gave me a free birthday dessert! Went there to celebrate a family member's birthday. Service was outstanding as was the food! excellent and would definitely order again. The owner, Giuseppe, stopped by our table to greet us. What a nice personal touch. Felt very welcome and appreciated there. Can't wait to go back! Awesome dinnner. Great value and best experience we have ever had in over 50 yrs of dining. I have lived in US, Canada, and Asia and this dinner was fantastic. Even got to meet the owner who seemed to he truly interested in our experience. Will go again for sure on our visits to the area to see our son and family. I brought three colleagues here before a special weekend event. We arrived about 5:20, but needed to wait for 5 min to be seated due to having one hostess who was seating others when we arrived. It’s a lovely atmosphere and on a less hot day (was in the 90s) I would have chosen patio seating, but we chose to be seated in the dining room. Our server was kind, but it was clear she was rushed and later it seemed she had too many tables to attend to. Two of us ordered a dinner salad and soup. Two of us ordered from the early dinner menu—3 course meal for $25. We were told portions would be smaller for this which we were fine with. We couldn’t tell a difference, though! They were large. unfortunately, one of our entrees came to us with a large piece of plastic hidden beneath some pasta and sauce. When we finally were able to capture our server’s attention, she quickly apologized and removed the plate . A replacement arrived relatively quickly, but the fork that she had used was taken away so she had to wait for another to arrive in order to eat again. Mistakes happen, but I was surprised that kind of mistake happened at this type of restaurant. Where did the plastic come from? How did it get there? I was also disappointed that we had to wait so long to order our desserts due to what appeared to be short staff and over worked servers that we were left without enough time to consume them. We were in the restaurant for an hour and a half which I believe should have been enough time. 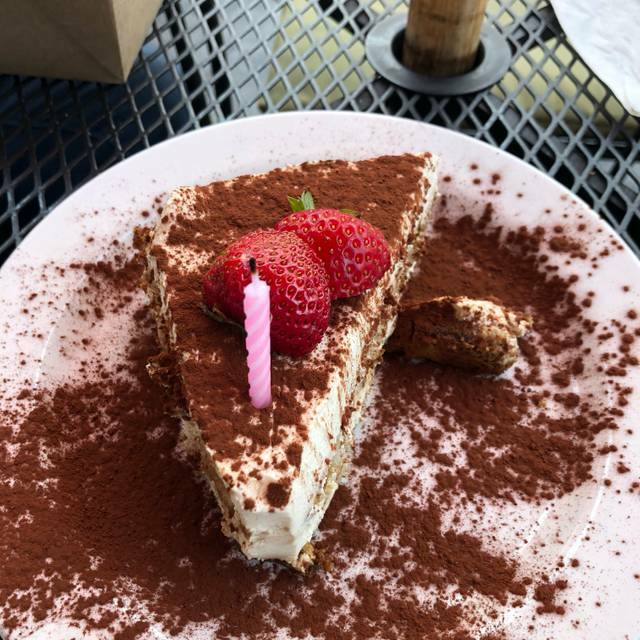 The only dessert that could travel was tiramisu, but we preferred the others. Finally, I was disappointed that there was no effort to offer a discount or compensation for the entree. I feel that the customer service could be improved in general. Overall, I believe this is usually a great place to eat and we just experienced a lot of mishaps on this visit. We will try again once more and hopefully have a better experience. I like Guiseppe’s And we go there often. But, I have found that when he is not there things don’t run as smoothly. Our server was mediocre at best and was clearly annoyed when we asked to send a steak back that was ordered medium but came out rare. I would have tipped 15% but found out that for a party of 6 there is now an 18% automatic tip. When did that start, it used to be 7 people? Wouldn’t have bothered me as I usually tip 20%, but, I felt she knew she was getting 18% and so she didn’t care about the service. We will definitely go back again as the Italian food is wonderful. But, sub par at this visit. Food was fine. Lasagne was tasty. Raviolis came out luke warm. Flavor was fine. Felt more processed the fresh. Great service, good food. Their happy hour is great value. 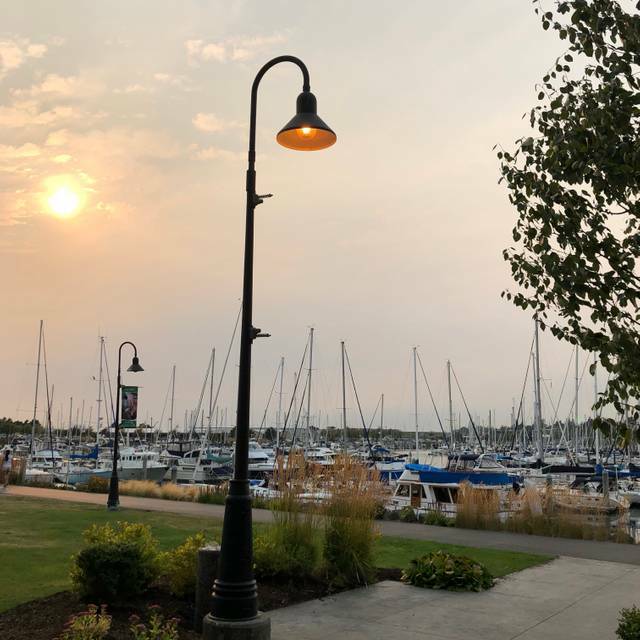 Guiseppe's is our favourite Bellingham restaurant - delicious food; lovely patio with view over the marina; attentive staff and always a visit from Giuseppe's. Thank you for lovely summer dinner. Took my daughter-in-law here for an early dinner. Authentic Italian cuisine and good cocktails. I had a lemon drop which was perfect. 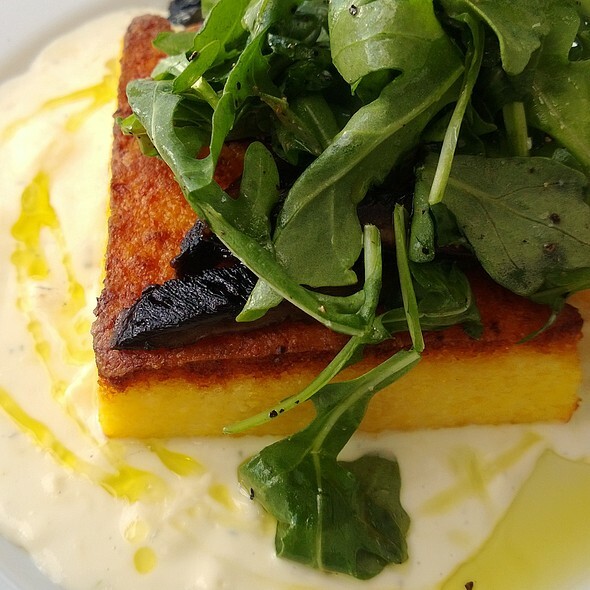 We shared a delicious polenta appetizer, each ordered the seafood bisque which was a generous portion and the mixed baby greens salad. The salad was a good mix of greens , tomatoes, olives, and gorgonzola cheese with a light balsamic dressing. Between the polenta appetizer and the bisque soup it was very filling but we had already also ordered the wild king salmon to share and enjoyed that too. It was a generous portion. I was visiting my daughter-in-law who now resides in Bellingham and my only wish would have been to meet the owner Guisseppe who was not there that evening. I would have liked to have met him and complimented him on his restaurant and food. My father-in-law’s family is originally from Sicily and if i can ever bring him up from California he would love this place. I highly recommend it. ordered Lamb, however the chops were too thin and overcooked as I asked for "pink"
Great ambiance, friendly & efficient service.....Giuseppe even came to our table to ask about the service! Tasty, nicely presented food for very reasonable price. Will definitely come again....especially for a special occasion! Great host; great food and service. I highly recommend Giuseppe's Al Porto. Great food, cute waiters, what more could you ask for? Great service too.